By Oleg Nikishenkov. September 5, 2011, the Moscow News (original story). Russia's near-forgotten north-eastern regions are soon to be put back on the map thanks to a federal program to expand the trans-Siberian network all the way to the Bering Strait. A railroad to the isolated city of Yakutsk, capital of the Sakha-Yakutia region, is due for completion as early as next year, after which railroads are expected to be laid across the region and into Chukotka, finally reaching the Bering Strait in 2030. 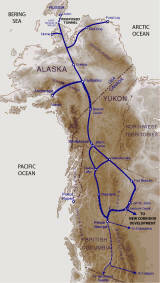 The planned construction has reopened a discussion, which first emerged in the late 19th century, about the potential to construct a 90-kilometer rail tunnel under the short strip of ocean between Chukotka and the U.S. state of Alaska. Viktor Razbegin, an economist at the Russian Engineering Academy, told a conference on trans-continental infrastructure in August that the railroad expansion made the tunnel idea more realistic now than ever before. "When the last rail is laid at the border between Yakutia and Chukotka, the railroad will be just 4,000 kilometers away from the Bering Strait," Razbegin said. 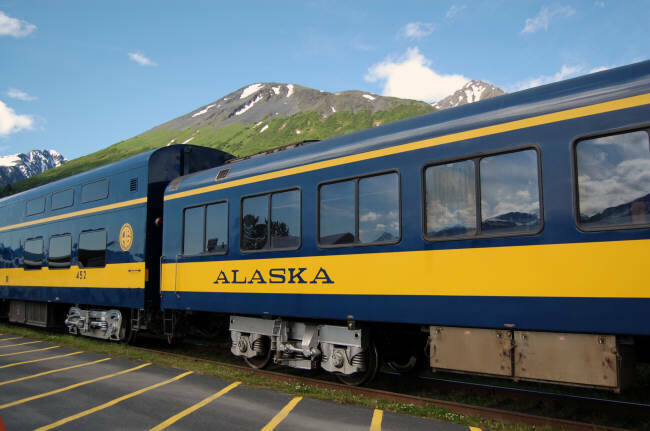 "If the United States decides to construct a west-coast wing of their Alaska railroads, they would need just 2,000 kilometers of railroad to reach the Prince of Wales cape." Although plans for the tunnel have long been considered a pipeline dream, experts say there are some major advantages to its construction. Data compiled by Russia's state-run railroad monopoly, Russian Railways (RZD), suggests that a Bering Strait tunnel has the potential to take up to 3 percent of the world's cargo shipments. 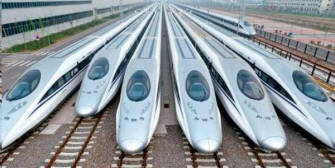 A high-speed train connection would greatly speed up transportation between Asia and the United States, which currently takes several weeks, and significantly reduce fuel costs. Since the maximum depth of the Strait is around 55 meters, construction of a tunnel under it would not be technically impossible. Although the stretch is around twice the length of the Channel Tunnel, which runs between Britain and France, the existence of several small islands along the route would aid construction. The project is estimated to take around 15 years to complete. However, Andrey Rozhkov, senior engineering and machinery analyst at Moscow-based Metropol investment bank said the isolation and harsh weather conditions of the area in question make the project infeasible. "It is unlikely that cargo trains would ever be favored over vessels since a whole network of access routes would also have to be built to support the project," Rozhkov said. "Given the weather conditions, the final cost would be astronomical. Currently the area has no infrastructure at all." Over the years, the idea of a railroad connecting three continents has captured the imaginations of numerous activists. Today there are several groups lobbying for the implementation of the project. 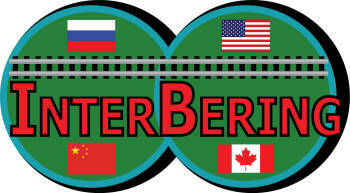 Fyodor Soloview, a Russian-born businessman who lives in the Alaskan biggest city of Anchorage founded a lobby group called InterBering to promote the tunnel idea and attract investors. He says his project has attracted a lot of interest, mainly from South-East Asia, but not from the U.S. authorities. "Existing roads in Alaska cope fine with the cargo traffic as there are only several mines and defense bases on the peninsula, so the authorities haven't seen any real need to invest in the project," Soloview said. In his view, investors will show interest as soon as either the United States or Russia take the first step toward implementing the project. For their part, Russian Railways officials say that if the government supports and finances the idea, they are ready to construct the tunnel. Currently, however railroad construction projects in the Far East are taking priority, and funding for those is yet to surface. As well as the expansion of the railroad network to Yakutia, the railway company is also building railroads to Magadan on the Sea of Okhotsk and constructing a bridge to the Far Eastern Sakhalin Island. Such projects are vital since Russia's resource base is shifting from Eastern Siberia toward the north east, increasing the burden on the aged railroads in the region. Viktor Ishaev, the presidential representative to the region said recently that capacity on the Baikal-Amur railroad, which runs between Eastern Siberia and the Far East, needs to be increased to 52 million tons from the current 12.5 million to meet the increased demands. 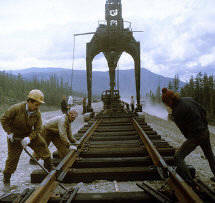 He added that the entire Trans-Siberian network should be able to carry 110-115 million tons a year by 2015. But even with the expansion program, the question of who will finally foot the bill for the ambitious developments remains unclear. RZD's senior vice president Vadim Mikhailov said last week that the monopoly wants to significantly increase its borrowing volumes and plans to issue 20-year bonds soon. He said that if the company's under-financing problems persist, it will not be able to ship some 230 million tons of cargo by 2015 due to infrastructure problems. The tunnel, then, may have to wait. 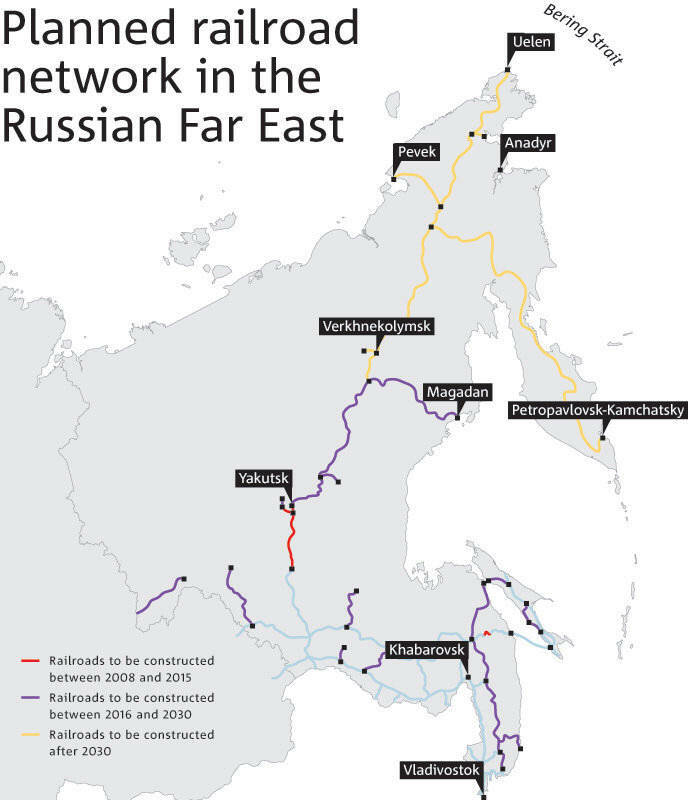 Planned railroad network in the Russian Far East.